A light swipe of the hand magically changes the sequins from pink to blue to pink! 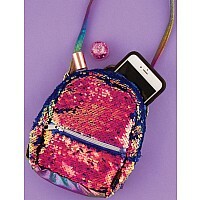 What a glam little bag, to wear as a backpack or across the body. 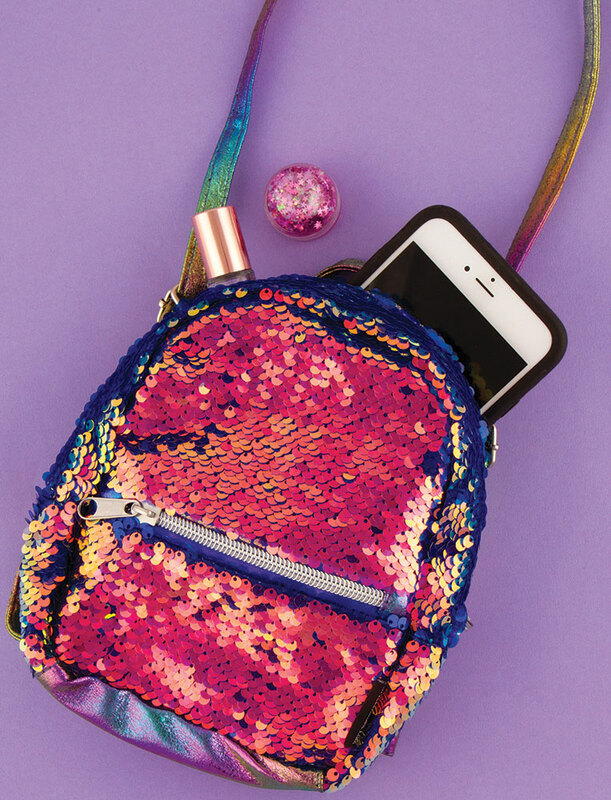 An extra outside pocket for function, and rainbow metallic trim for style. For ages 8 yrs-teen, from Fashion Angels .